Failure to tackle drug-resistant infections will lead to at least 10 million extra deaths a year and cost the global economy up to $100tn (£64tn) by 2050, a report commissioned by David Cameron, the prime minister, has warned. The stark figures, published on Thursday, and believed to be the first to quantify the potential impact of antimicrobial resistance (AMR) – drug-resistant infections or superbugs – will be used to make the case to global leaders that urgent action is needed. To put the figures in context there are currently 8.2 million deaths a year from cancer and annual global GDP stands at $70tn to $75tn, with the UK figure around $3bn. 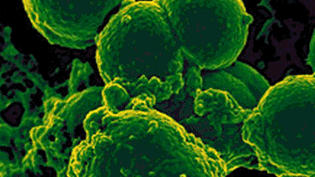 Former Goldman Sachs chief economist Jim O’Neill, who chaired the report, said AMR represents a more certain threat than climate change in the short term. “We cannot allow these projections to materialise for any of us, especially our fellow citizens in the Bric (Brazil, Russia, India, China) and Mint (Mexico, Indonesia, Nigeria, Turkey) world, and our ambition is such that we will search for bold, clear and practical long term solutions,” he said. The report is the first published by the Review into AMR, set up by Cameron in July, amid growing concerns about the scale of the problem. It acknowledges that the human impact should be enough to prompt major intervention but says the economic figures illustrate that the issue “transcends health policy”.